One of the reasons we do what we do is because we’re so inspired by the people in our community. From hikers to travelers to up north goers to lake lovers, you’ve all got passion burning bright and an interesting story to tell. We love getting to know you and learning about how you’ve come to embrace the doNorth lifestyle. Emily grew up in Winona, Minnesota and has been an outdoorswoman since childhood. Proximity to Winona Lake and the Mississippi River made camping, canoeing, and boating normal childhood activities, so it’s no surprise that she became the avid explorer she is today. While Emily enjoys all of nature’s wonders, she prefers water to any other landscape. 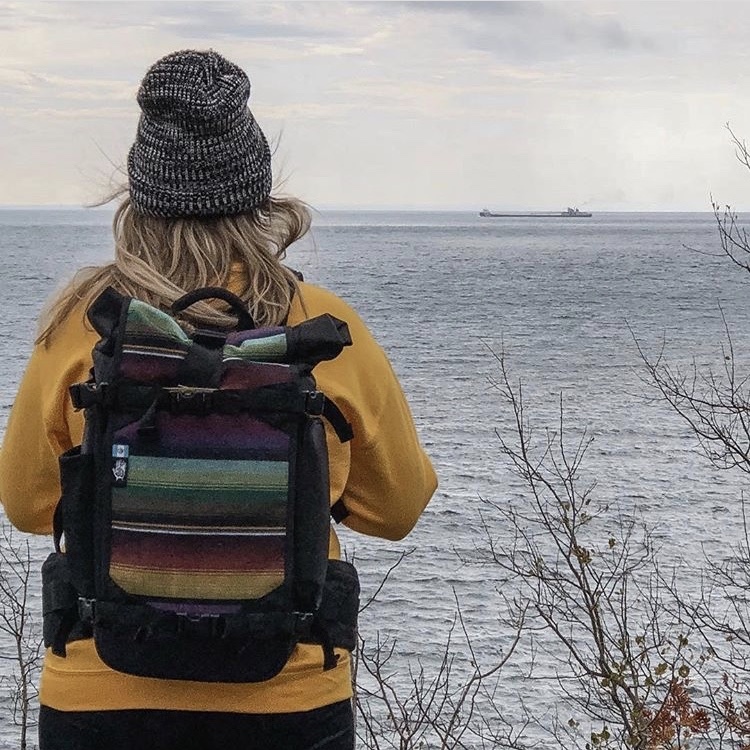 Her ideal weekend escape is a quick jaunt up to the North Shore of Minnesota to bask in the rejuvenation of Lake Superior. At the time we met Emily, she was living in Minneapolis. Not long after, she packed up her bags and made plans to move to Denver. A true adventure girl at heart, she goes wherever her inspiration guides her. And, often times, her inspiration guides her to various corners of the earth. Emily’s biggest passion is travel. After studying abroad in college, Emily knew immediately that she wanted to see as much of the world as possible. “Vacation” isn’t really a word that makes sense to her, since she’d really go anywhere she got the chance. If she HAD to pick her most desired destination, Cape Town, South Africa would top that list. Emily is one of those people you could talk with for hours, no matter that you’ve just met. She’s got stories to tell, an enchanting personality and, most admirably, she’s got a heart to do good. One of my favorite parts of meeting Emily was when she began talking about this amazing idea she had. This idea triggered because she had just met up with the guys from The Traveling Good. They were on a two-month RV trip sharing the goodness of the communities in which they stopped, and sharing ways to serve locally. Inspired by their mission and her love of the water, Emily conceptualized a plan to start at the head waters of the Mississippi River and solo kayak her way down. She would plan her stops ahead of time, and arrange meet ups in each of those communities. The “do good” portion of the plan would be to highlight the local opportunities to give back to the city. As Emily put it, this would give purpose for her passion. Emily has been a supporter of doNorth since almost the beginning and meeting people with her kind of spirit is why we love what we do. No matter where life takes her, we know Emily will continue to soak in as much of the world as she can and leave every community she visits a little better than it was before. You can follow along with Emily’s adventures at @simplyskeels on Instagram. If you or someone you know aligns with the spirit of the doNorth brand, send us a message at contact@donorthbrand.com to be featured on our people profiles. Sign up with your email address to receive adventure updates and 15% off your order.